A few weeks ago, Henry's manager teased that she was headed to Winnipeg to visit Henry on the set of Nomis. Now she's shared this behind the scenes pic from her time there, thanks Dany! 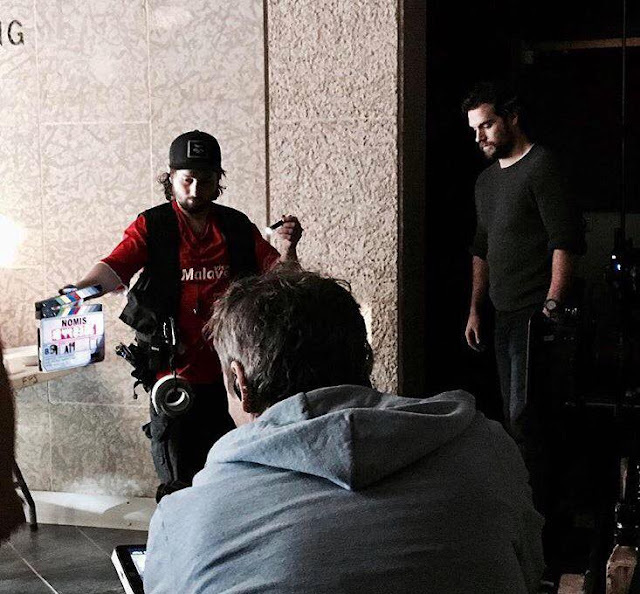 Henry has been in Canada for about a month, with Nomis reportedly set to wrap next week. But he likely won't have much time to rest, since he's now part of the Mission: Impossible 6 cast and that movie starts filming April 10th with locations in the UK, Paris, and New Zealand. Hopefully Dany and Henry share updates from that set as well! Nomis, directed by David Raymond, is set for a 2018 release. 2017 busy year for Henry Cavill! I love it! More projects, more movies! Then again he might miss the Durrell Challenge or will he. Last Mission Impossible was filmed in both France and UK, right? Noo way is going miss the Durrell Challenge. He very dedicated that foundation. He will find a away to be there. Whoa wait! Is the guy in the red t-shirt, black hat, holding the clapperboard wearing a 'Visit Malaysia' t-shirt? I know it's far fetched and a bit of a stretch, plus I can't quite zoom in to see, but that is what I can make out. If so, AWESOME! Malaysia represent!! It looks like it, but even I couldn't zoom in that close to tell. If it's not, ah well :( Greetings from a fellow Malaysian. So glad Henry is active in new projects. I'm looking forward to seeing him on the big screen again and again. Awesome!